Assam Police Syllabus 2019 (असम पुलिस पाठ्यक्रम- कांस्टेबल, एसआई रिक्ति परीक्षा पैटर्न): Assam Police Department conducted for the recruitment of candidates, who want to get Police Jobs in Assam State. Candidates appear in the Assam Police Exam need to check the Assam Police SI Exam Syllabus 2019. The Assam Police Department wants to fill the vacant seat for the SI, ASI, and Constable, Head Constable Posts. All the candidates going to enroll for Assam Police Recruitment 2019 can now get Assam Police Constable Exam Pattern 2019 along with exam scheme here. Therefore all the job aspirants can go through this article and get details of Assam Police Exam Pattern and Download Assam Police Exam Books. Candidates applied for Assam Police Recruitment can get the latest syllabus of the examination here. 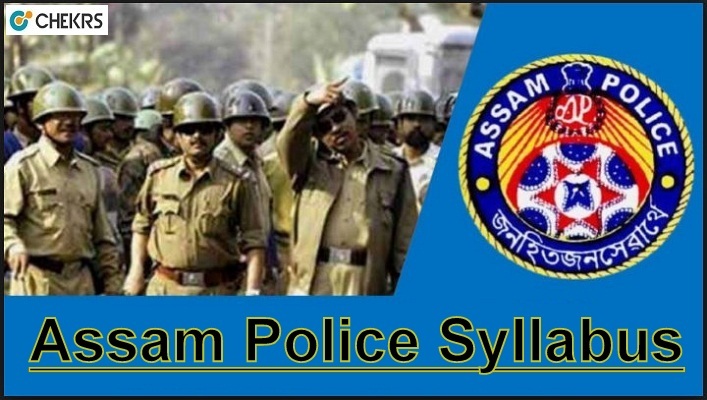 For qualify, the exam candidates must prepare well by going the topics mentioned in the syllabus as Assam Police Exam Syllabus 2019 is the key aspect of the examination. Therefore all the candidates can check here the details of each topic mentioned in the syllabus & prepare themselves well for the written test. Thousands of candidates apply for Assam Jobs every year and thus the competition is turning out to be a day by day. Candidates must, therefore, have proper knowledge about the Assam Police SI Exam Pattern 2019, so that they can have the proper idea about the mark distribution scheme and prepare themselves well for the examination. Below you can check the details of Assam Police Exam Pattern. Below we have updated the Latest Assam Police Exam Syllabus 2019. Candidates can refer it and get complete details. With the help of Assam Police Syllabus provided here, candidates can score well in the exam & qualified. To receive more updates on Assam Police Exam Scheme, keep visiting our site www.jobs.chekrs.com. We will provide you the latest alerts on Assam Police Previous Papers & Assam Police SI Exam Pattern. In the case of any query or review, you can place your valuable comments in the commenting section below. We will revert you in a short while.